Straight into the nuthouse they’ll heave her. Sandy Descher, Waldron Boyle, and James Whitmore in a lobby card from THEM! (Gordon Douglas; 1954). Labels: Insects, Mental Health, Paul Truster, Sci-Fi, Them! Over-grown, now they smell their first course. Sandy Descher screams in THEM! (Gordon Douglas; 1954). Labels: David Cairns, Insects, Sci-Fi, Them! What more could be found in one word? THEM, horrible pronoun, is heard! From the trailer for THEM! (Gordon Douglas; 1954). Title by wordy Donald B. Benson. We'll run from the ants, or we’ll feed Them! 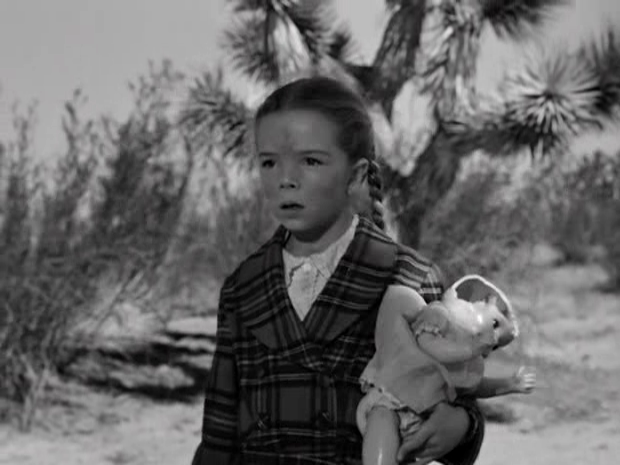 Little Sandy Descher, traumatized by THEM! (Gordon Douglas; 1954). Labels: Insects, Paul Truster, Sci-Fi, Them! Way out yonder, them drones are quite scary. Sandy Descher makes quite an entrance in THEM! (Gordon Douglas; 1954). And so, can't convey her alarm. 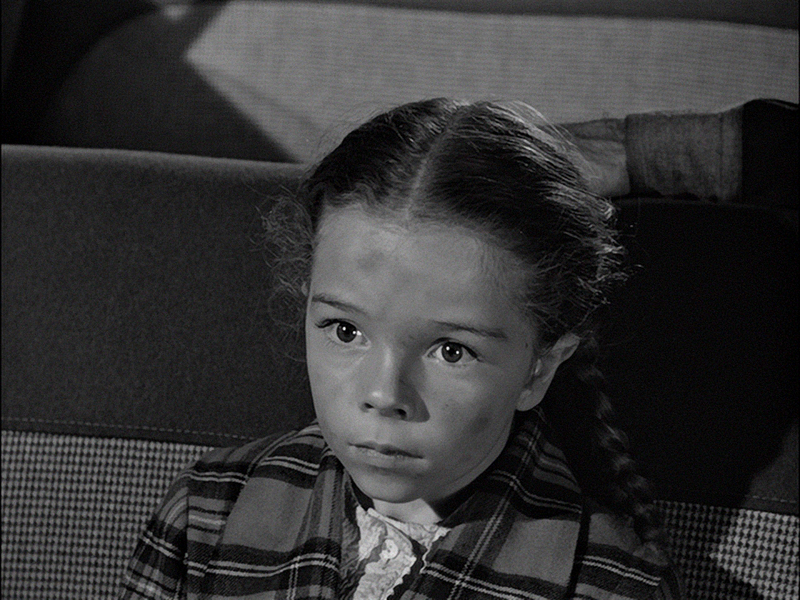 Sandy Descher, the first known survivor of THEM! (Gordon Douglas; 1954). Title by soft-spoken James Finn Garner. All finished, picked clean from their mauling. 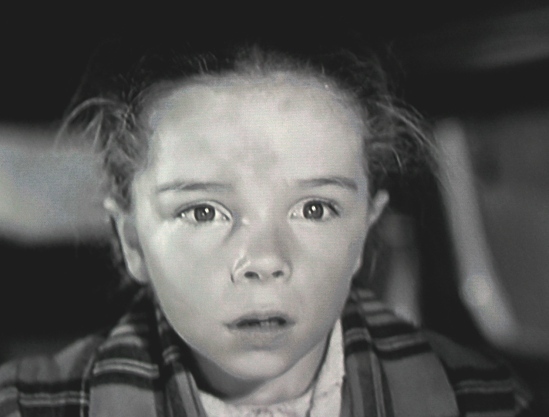 Joan Weldon is startled by one of Them! (Gordon Douglas; 1954). Title by Limerwrecker of the outré, David Cairns. Who fixes the mess? Why, the trooper! So now, who’s for Scrambled Eggs Super? 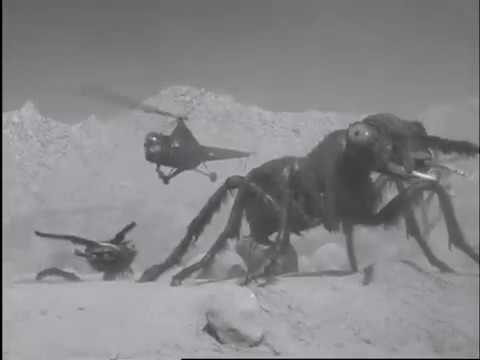 James Whitmore, James Arness, and Joan Weldon find the giant ant's nest in THEM! (Gordon Douglas; 1954). Labels: Paul Truster, Sci-Fi, Them! Prepare, or your innards they're chopping. 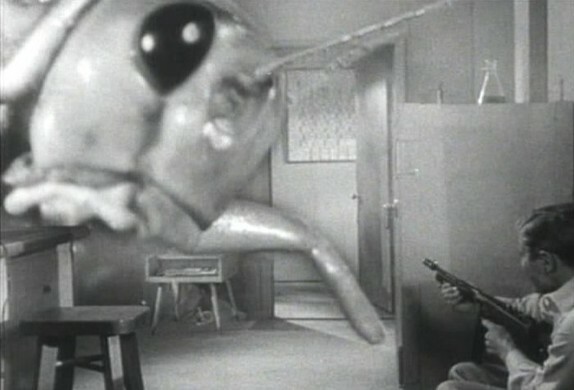 James Whitmore, Joan Weldon, and James Arness explore the giant ant nest in Them! (Gordon Douglas; 1954). David Cairns laid the title. When crawling through flicks out-of-focus. Peter Graves defends himself against the lousy special effects in Beginning of the End (Bert I. Gordon; 1957). 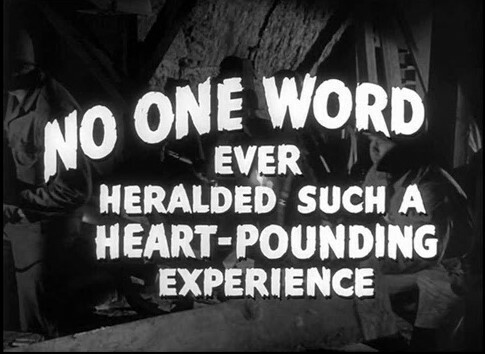 Title by plague-ridden James Finn Garner. And swarms of big bugs needin’ squishin’. 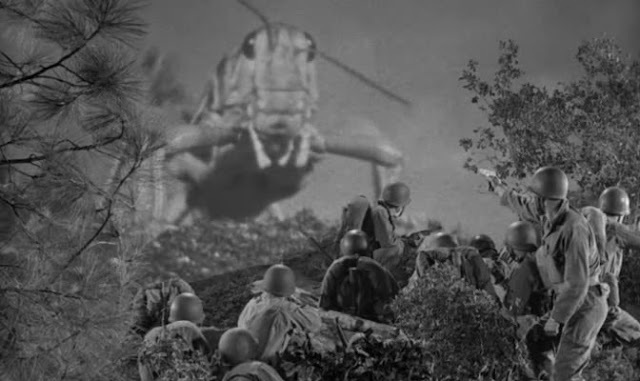 Beginning of the End (Bert I. Gordon; 1957): An agricultural scientist grows gigantic vegetables using radiation, but the crops are eaten by locusts (aka grasshoppers), which quickly grow to a gigantic size and attack Chicago. Praise the Lord and Pass the Ant-Munitions! The bomb made Them grow! Yet somehow we'll wreck Them--bet lucre! James Arness helps load a bazooka in THEM! (Gordon Douglas; 1954). Or that flamethrower cooling in storage. The ants surface in Them! (Gordon Douglas; 1954). Labels: Guns, Insects, Paul Truster, Sci-Fi, Them!